Not all important baseball wins are the product of exciting, well-played games. Such was the case on October 20, 1874, when the Boston Red Stockings beat the Athletics of Philadelphia 14-7 to clinch their third consecutive National Association championship. The day started well for the Athletics. Playing on their home field, the Jefferson Street Grounds, in front of a crowd estimated at between 1,000 and 1,500 fans, they got off to a fast start.1 After holding the Red Stockings scoreless in the first, the home team batted around and scored five times in the bottom half of the inning. Only once before during the 1874 season had Boston been down by five or more runs after the first inning and that game had not ended well for them. On May 23 the Brooklyn Atlantics led the Red Stockings 7-0 after an inning and went on to hand the Bostons their first loss of the season. It was on this trip that Red Stockings pitcher Al Spalding and the Athletics star Cap Anson began a 30-year friendship. The two were fierce competitors who valued discipline and dedication both on the field and off. Over the next three decades Spalding would become the president and eventually owner of the Chicago White Stockings. While team president, he promoted Anson to the position of manager. It was a relationship that helped to establish the White Stockings as the best team in professional baseball during the 1880s. On September 10, the day after they returned from England, the two teams resumed league play in Philadelphia. Boston beat the Athletics, 5-4. Two days later, in Boston, Philadelphia got even with a 6-5 win. Despite their journey, the Red Stockings remained comfortably atop the National Association standings, a position they had held since the first week of the season. Meanwhile, the Athletics had fallen into third place, a half-game behind the New York Mutuals. The October 20 game was the fifth and final game in a visit by the Bostons to Philadelphia. On October 15 they had beaten the Philadelphia Whites, 6-4. On the 16th Boston played the Athletics and won, 5-1. They returned to the Jefferson Street Grounds, which the two Philadelphia teams shared, to play the Whites on the 17th, and won 5-2. After taking the Sunday off, the Red Stockings played the Whites again on Monday the 19th, this time losing, 5-2. Despite the discouraging early deficit in the October 20 game, the Red Stockings immediately began chipping away at Philadelphia's lead. In the second inning the first two Boston hitters, catcher Deacon White and right fielder Cal McVey, each reached base. Both scored, as did first baseman Jim O’Rourke, to pull the Red Stockings within two. An inning later Athletics right fielder Tim Murnane added a run to the Philadelphia lead but it would not be enough to counter Boston. In the fifth inning Boston second baseman Ross Barnes, pitcher Al Spalding, and third baseman Harry Schafer tied the score. Barnes, who contributed a single, double, and triple to his team’s attack, and Spalding were two of the Red Stockings' “Big Four.” The other half of the Big Four was McVey and White. These four players constituted the heart of the Boston batting order and were among the most productive foursomes in the National Association. 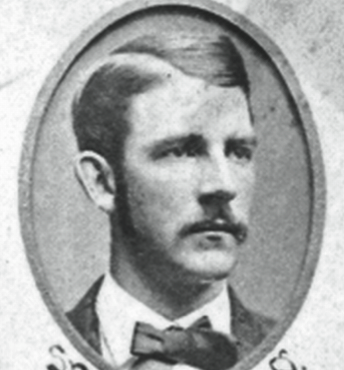 Each finished the 1874 season hitting over .300.3 Two years later all four, along with Cap Anson, the Athletics’ best player, would join the Chicago White Stockings for the National League’s inaugural season. Once the Red Stockings tied the score in the sixth, Philadelphia fell apart. Though the Bostons “did not play with their usual care in the field” and depended “more on their batting and the ‘muffism’ of the antagonists,” they kept piling on the runs.4 Boston went on to score four more runs in the sixth, two in the seventh, and two more in the ninth. Several crucial misplays in the outfield, two errors by second baseman Joe Battin, and four by first baseman Al “Count” Gedney contributed to the Red Stockings’ success. In all, the Athletics committed 12 errors. Philadelphia’s sloppy performance in the game was described as one that “can be eclipsed by many amateur organizations.”5 The Boston Journal confirmed the assessment, reporting that each team had scored only one earned run.6 Meanwhile, pitcher Spalding and his mates limited the home team to only one more tally. For Spalding, it was his 46th win of the season, one in which he posted a 52-16 record. He threw 65 complete games. Though “the game was a very uninteresting one in many respects,” when coupled with a loss by the New York Mutuals, it brought to the Red Stockings their third consecutive National Association championship.7 Because of the vagaries of the day, there was no official “clinching” of the pennant or scoreboard-watching as we know them today. Nevertheless, the Red Stockings were champions again. 1 Philadelphia Inquirer, October 21, 1874; “Sporting News,” Chicago Daily Tribune, October 21, 1874: 7; Retrosheet lists the attendance at 500. 4 “Sporting News,” Chicago Daily Tribune, October 21, 1874: 7. 6 "Out-door Sports," Boston Journal, October 21, 1874: 4. 7 Philadelphia Inquirer, October 21, 1874.